Does your company use Salesforce? Are you advertising using AdWords? Would you like to correctly attribute which channel your leads and sales are coming from? If you answered “YES” to all of these questions, then you’ll be thrilled to learn about this new Adwords Salesforce Integration! 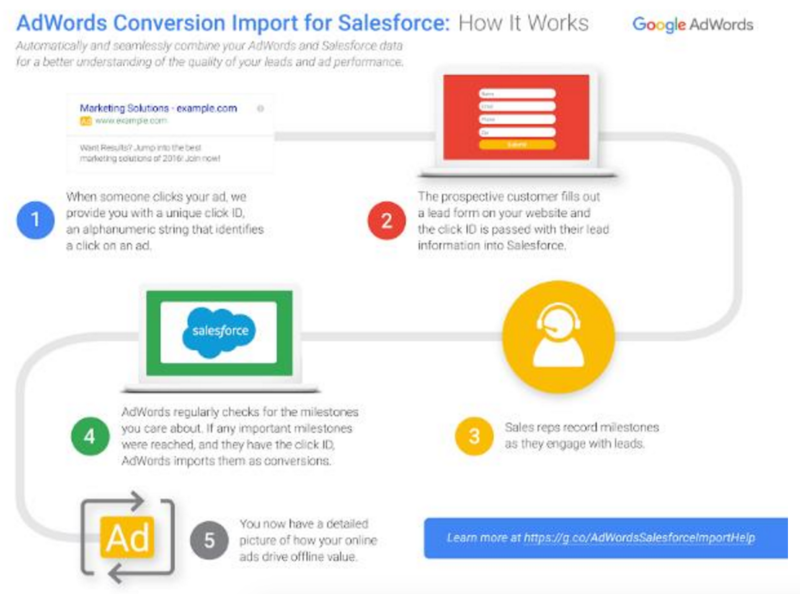 Now you’ll be able to automatically and seamlessly combine your Adwords and Salesforce data using Google’s new Adwords Conversion Import for Salesforce. So basically you can automatically count AdWords conversions for any of the lead statuses and opportunity stages that you’re already tracking in Salesforce. This lets you understand how your AdWords investment impacts your sales funnel. With the information you learn, you’ll be able to adjust your AdWords account to make sure you fully optimizing your campaigns for the best return on ad spend.